Hot on the heels of expanding its Dockers brand license agreement with Levi Strauss & Co for the third time in four months, Hampshire Group CEO Paul Buxbaum is optimistic the company turnaround is starting to take hold. 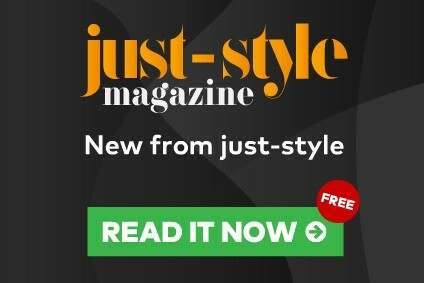 Here he talks to just-style about new opportunities and on-going efforts to leverage the firm's supply chain. Building Hampshire Group's licensing business is one of the key pillars of growth identified by Buxbaum following his appointment as CEO in January last year - and deepening the company's relationship with the Dockers brand is "a big add" he tells just-style. The partnership between the two firms began with men's sweaters back in 2003 - and has most recently accelerated to include knit and woven shirts, making Hampshire the exclusive supplier of all men's tops for the Dockers brand worldwide. The newest additions to its portfolio are the Dockers women's domestic and international licenses for both tops and bottoms beginning with the spring 2015 season. Significantly, the latest deal marks a shift that will see Hampshire provide technical design and sourcing services - functions that were previously handled by Dockers in-house - right through to delivering products direct to both US and international distribution points, including department stores, chain stores and mass retailers including Kohl's, JC Penney and Sears. At the heart of the relationship is a shared vision that leverages Hampshire's existing production and sourcing platform, Buxbaum explains. "We work closely with the creative team at Dockers and they work with our creative teams...blending our skill sets to build a supply chain based on everybody's strengths. "Collaboration with the brand, working closely with their creative teams early and often, is one of the big things we push in our organisation today, so we can get into the market and get product reviewed early. "We build one big timetable and supply chain of responsibility, so we have a calendar from start to finish of when we're developing the colours for the season, fabrications and designs, so then we can move right in to finalising tech design and go out and get the product produced. "We also work closely with our fabric mills to be able to flow fabric on a more steady-controlled basis, so it continues to add to the supply chain." Having already been instrumental in "developing ranges of products that have done very well at retail," for Dockers, Buxbaum's next focus is to "build the Dockers women's business in the US back into the marketplace." "And then we hope that as we move through this, being a good supply chain partner will give us other opportunities within the Levi Strauss organisation." Growth in other areas of Hampshire Group's business is also underway, Buxbaum says. The company designs and makes sportswear under licensed brands, its own brands and retail private labels, with two divisions: Hampshire Brands and Rio Garment, its own Honduras-based knit top manufacturer. But a series of mis-steps, customer losses, and lower order volumes means Buxbaum is now tasked with trying to reverse six consecutive years of losses - although he is more than up for the challenge. "Looking at my background, this is what I've done for a living: fix bruised apples," he explains. A former CEO of Haggar Clothing Company, Buxbaum is also chairman and CEO of turnaround specialist Buxbaum Group. He has been closely involved with Hampshire Group since selling it Rio Garment for US$22.9m in August 2011. The move made him the company's largest shareholder, before he stepped in 18 months ago "to try and help, do what needs to be done." Indeed, his efforts to reposition the business for long-term profitable growth are starting to bear fruit. From an EBITDA (earnings before interest, taxes, depreciation, and amortization) loss of $13.3m in the year to 31 December, the company expects to move into positive territory in 2014 with around $10m in year-over-year EBITDA improvement. Its new sourcing deals are expected to add 6-8 percentage points of gross margin improvement to the Hampshire Brands portfolio - which accounts for around half of the company's $105.1m in annual sales. As well as expanding existing licenses like Dockers, the company has added new ones such as the Gramicci outdoor apparel brand (which is owned by Buxbaum). It has also divested its underperforming men's wear label Scott James, and is focusing instead on acquiring new higher-margin luxury brands like James Campbell, which generates annual sales of $8m and counts Nordstrom as its largest customer. Overheads and fixed costs have also been reduced, including fewer personnel in its New York corporate headquarters, South Carolina administrative office, and Honduran operations. In total, the company employs around 758 workers in Honduras, 60 in the United States and 13 in China. 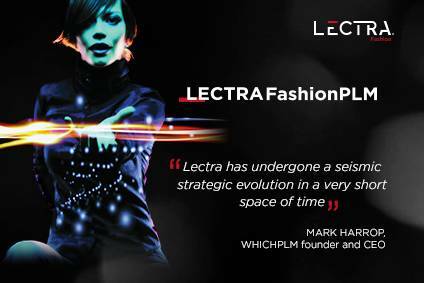 It has also invested in new technology systems, such as Centric Software's product lifecycle management (PLM) solution to help support the growth of its business. And it is planning to overhaul its accounting and enterprise resource planning (ERP) systems this year in a further bid to reduce costs and improve efficiencies. An initial bumpy start following the loss of a large private label programme at Honduras-based Rio Garment is also being addressed. The facility makes knit tops for customers including Aeropostale, Eddie Bauer, Wet Seal, Forever 21 and Hot Topic, and a new product-development team has been working to bring new business on board. Test orders are underway for seven major retailers, which together "represent the largest new customer opportunity in Rio Garment's history." "We're pleased where we are today and we're looking at adding further opportunities to our platform in the next couple of years where we can leverage up our supply chain to be a low cost provider to the marketplace." Key to this is the company's own manufacturing expertise, Buxbaum believes. "Because we've been manufacturers, we work on building supply chain relationships with manufacturers, to give consistency of production. Instead of placing an order, bringing in product, sitting on it, and distributing it as the retailers request it or based on orders, [we] try and flow the product, to run a supply chain [to] help drive our cost down and increase our margins and profitability." On top of this is speed to market. "Your basic business is always going to be under the basic timetables retailers require for seasonality," but on certain businesses, "we're able to move much more rapidly to put things in place. "Being able to see a trend and to move into that trend and then to be able to offer that to retailers on a special make-up basis allows us to keep our inventories much tighter and cleaner." The company sources from a network of independent manufacturers in Southeast Asia - mainly in China, but also in Vietnam and Cambodia. It also has a subsidiary based in China, Keynote Services, that oversees quality control in the region, working closely with supplier factories "so we become more and more important to that factory. That's what helps us keep our prices in line and be very competitive." Another office in Pakistan, "where we run a lot of our knit top business," also gives it a regular presence in the factories "so we can turn product on a shorter basis than in the past, so we get it into the market for fashion." And then, of course, there is the Rio Garment factory in Honduras, which specialises in screen print T-shirts "where we run supply chain direct to retail on a very short lead-time of six to eight weeks." Rio mainly uses raw materials, including yarn and fabric, from suppliers in the US, although fabric is also purchased locally in Honduras. While Buxbaum agrees that such fast product turns are "very helpful to many retailers," especially when it comes to T-shirts or different knit products, he also points out that "based on the prices that I'm getting and the fabric supply, working in the Asia market has been most beneficial." When it comes to wovens, "we have plenty of lead-time to get what we need to the US markets at the most advantageous price. It's really about the availability of fabric. You want to keep your supply chain as tight as possible, you don't want fabric spending time on the road, because that just eats up part of your supply chain days." He adds that the number of fabric mills producing woven material in Central America is "limited" and "not as price-competitive as you'd like it to be." So sourcing these products closer to market "would only be on a one-off basis if you're trying to meet a real time window." Looking ahead, future growth for Hampshire will come from growing sales to existing and new retail customers, expanding channel opportunities, and building its stable of proprietary brands. Another avenue being explored is "developing more of our own products to go direct to the retailer. That's an opportunity for us that we're studying carefully." And of course thanks to the internet, the supply chain could be shrunk even further by going direct to consumers. "It's definitely where a lot of the future's going and where we all have an opportunity." Until then, Buxbaum is optimistic. "Our business is getting better. [With] these new opportunities, [and] continuing to re-engineer how this company runs, we're seeing continued improvements, which is positive for us in our outlook."